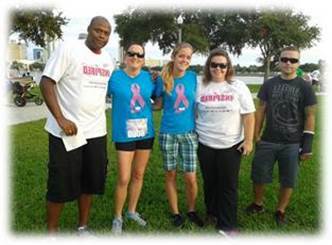 The Tampa region participated in their Susan G. Komen Race for the Cure on Saturday, October 5th. The Team raised a total of $240! Special thanks to the fundraising efforts of Sarah Kottke, raising $140 and Kari Gariano, raising $100!